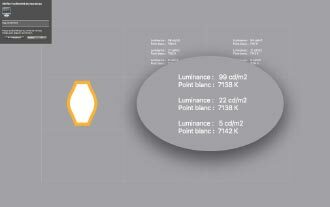 Will reading the technical data sheets help you in choosing your screens ? Is it better to use a monitor or laptop with an IPS panel or is PA/VA enough ? Is it absolutely necessary to choose LED lighting technology ? Large gamut or sRGB ? Screen technology : TN, VA or IPS ? Today, three display panel technologies are competing for the market : TN, VA or PA and IPS and different lighting processes for these panels : CCFL (neon tube for short) and increasingly LED. 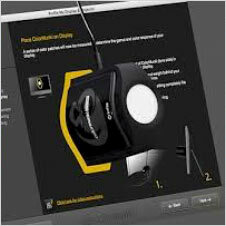 1 - TN - The vast majority of laptop or desktop screens "unfortunately" for image makers use it. Its two biggest defects being a very important change in colour/light depending on the angle of vision and a great lack of homogeneity. In practice, even for beginner photographers or those with a tight budget, I do not recommend it. But, you're going to ask me, what are their qualities ? TN panels are often very popular with players because they offer very low response times, significantly lower than the IPS panels we are going to discuss again and incidentally are the cheapest to produce. TN panels are very sensitive to the orientation of your eyes towards the screen. Brightness and contrasts vary greatly. My opinion - To be avoided by photographers or videographers ! I'm flexible, but don't overdo it ! 2 - VA or PA panel - Many so-called office automation or game screens use VA/PA technology. There can be some nice surprises in VA/PA even if it is not the best technology for photographers or videographers. In fact, the biggest risk is not being sure of the quality of YOUR screen because even if you have read a test or seen the screen at a friend's house, the brand does not guarantee the consistency of a batch. There are many unpleasant surprises. My opinion If you can, avoid it too. Prefer the following one but there may be some good surprises in this category ! 3 - IPS panels - Finally, IPS technology (which has several variants) is the best for making panels for photographers or videographers. In particular, it offers viewing angles close to 180° without major changes in the image display in contrast and brightness, unlike the TN panels above. This does not seem to darken or change colors when you change your viewing angle in front of the screen or when you are two in front of it. On the other hand, depending on the manufacturer's expertise, the homogeneity of the panel will be more or less correct. On paper, IPS panels are a guarantee of quality but as always not an absolute guarantee at the bottom of the range. It is still the technology to choose for photo retouching monitors or video editing, even not too expensive, with possibly a wide gamut at least equal to 95% of the Adobe RGB or the DCI-P3, LED lighting.... Note that the iPad or iPhone panel (up to 8 PLUS) uses IPS technology, (just that!) as well as more and more high-end laptop screens as on some Asus, Acer laptops and of course Apple MacBook Pro and Microsoft Surface. My purchasing advice ! Choose an IPS panel laptop as there are more and more in the Asus N752, Acer V Nitro VN7, Dell XPS 13 or SurfaceBook Microsoft ranges and of course the MacBook Pro Apple and their very beautiful Retina IPS panels. New! If you are looking for a laptop panel close to the best "Graphic Arts" screens, buy the new MacBook Pro 2016/2018 with DCI-P3 panel. I had never measured such Delta E values on a laptop before. Unbelievable ! No A PRIORI technology is better than another. It all depends on how it is implemented. It can only be said that an IPS panel with RGB LED lighting is still the best choice in 2018 and that the best mastered technology today is LED technology, even with single white diodes. The very great strength of the high-end screens known as Graphic Art lies in their homogeneity, particularly at NEC and EIZO. They display the same brightness in levels and color temperature (with a few exceptions) throughout the screen. Is this fundamental ? Of course not! It's very pleasant and more practical but it's not a deal breaker. Especially since when the screens are not perfectly uniform, it often happens that it is very light at such a point that if the control sensor perceives it the eye, even if warned, will not be bothered. That being said, sometimes it's really sensitive and I've sent back a Dell or BenQ screen because of that. (This is their main problem at the bottom and middle end of the market). So unless there is a real problem, the surface is always large enough so that you can touch up in good conditions even if a corner is a little darker. Display not very homogeneous, especially in color temperature... rather frequent with medium or low-end displays. Here's a true story : a friend, a professional photographer and retoucher, prefers to work on a very large screen (30-Inch) in order to have space rather than on a homogeneous screen. He knows very well where to look at his screen when he has to be precise knowing its limits. My purchasing advice ! If you want to work on a very large screen (27-inch and over), homogeneity will be difficult to achieve unless you spend a lot of money (more than 900 dollars). Other criteria will then have to be monitored.... Uniformity can be expensive ! 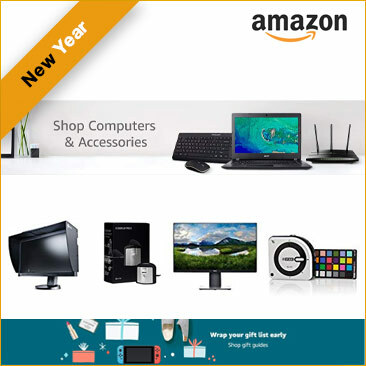 The best way would be to be able to buy your monitor in a store where you can exchange your purchase quite easily in case the measurements of your calibration sensor are really too far from the ideal. When I returned a screen one day, I didn't need a calibration sensor to see it ! Do not focus on homogeneity. It is very pleasant but not "essential" except maybe for professional retouchers or obvious defect. That said, there are obviously limits, often crossed by screens below 300 dollars. Colors are now controlled by many manufacturers, but uniformity is still often poor. 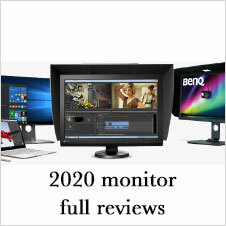 Dell, for example, with its Ultrasharp displays has made significant progress in this area without reaching the tops of the Eizo and other Nec. Large gamut or not : sRGB or Adobe RGB ? Do not confuse theoretical needs with real needs as I explain it in several places on this site (ICC profiles, working spaces, Print with Photoshop for example...). The "normal" screens roughly display the sRGB color space (and its equivalent Rec 709 in video), more or less. This color space already contains a lot of visible colors (2.5 million colors / out of the 8 million or so in the Lab space, roughly the ones most people see) and above all printable. This is simply why so many people seem to be satisfied with it. Indeed, everyone likes to have beautiful colors even those who don't have an above average view ! 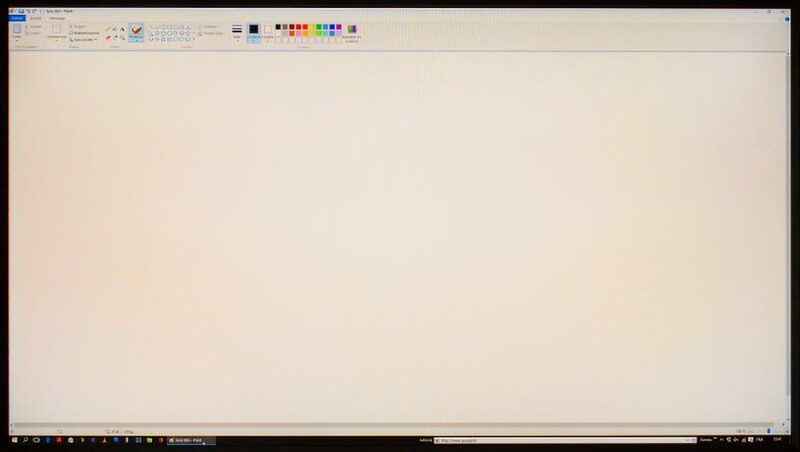 So why would it be absolutely necessary to have a wide-screen monitor, so a monitor that displays more or less 100% of the Adobe RGB or the DCI-P3? How to choose between sRGB and Adobe RGB ? In fact, it's interesting ONLY IF you work with even more saturated colors than the so-called "small" sRGB or especially if you want to be sure that the sRGB is fully displayable on your monitor. If indeed, you often take pictures of red, green or blue dresses with flash, poppies in full sun (and again), the intense blue of the Caribbean Sea or even green grass in macro photo after the rain in full sun, to make large format prints on shiny paper, then there, we agree, YOU MUST choose a so-called wide gamut screen if you want to retouch its colors - by seeing what you do - because you will take pictures of very saturated colors and out of reach for the sRGB in the greens (but not much either) and you will be sure that the sRGB is really contained. In these particular cases because they are not so frequent, you take the risk of not seeing on your screen so you can anticipate that when you convert the files to your printer, you will transform the beautiful drape of your dress or the petals of the poppy into a shapeless flat without nuances and losing a little saturation on the display. A new generation of displays is now available: wide-screen displays. These screens reproduce at least 98% of the Adobe RGB and can go up to 110%. However, we have become accustomed to using screens that "only" display the sRGB and still not always 100%. Almost all the colors of your icons will appear very saturated in the taskbar before and after calibration under some operating systems. When the OS does not manage colors or not completely as in the last Windows 10, you will have very saturated icons and images just as much but only in some applications !!! An example under Windows 10 under wide screen gamut : the colors of your images will be correct in the explorer but saturated in the preview ! Under MacOS, everything is OK. The colors of the lower icons, displayed on a wide gamut screen, are significantly more saturated than on the upper banner displayed "naturally" on a screen displaying the "classic" sRGB. (Note : icon saturation is necessarily difficult to reproduce if you display this page on a screen displaying the sRGB. 5 / 7 - Which graphics card to buy ? 6 / 7 - Hardware acceleration and LUT table ? 7 / 7 - What is the purpose of the 10-bit display ? - Which screen size to choose ? - Switch to 4K... or not yet ? - What screen technology : TN, VA or IPS ? 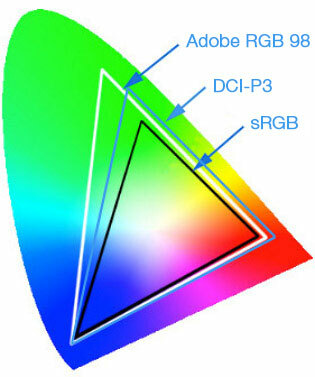 - Which gamut : sRGB or Adobe RGB ? - Which graphics card and which LUT table ? - Hardware acceleration and LUT table ? - What is the purpose of the 10-bit display ? 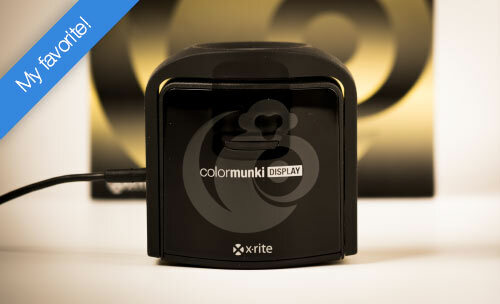 value ratio: X-Rite Colormunki Display ! 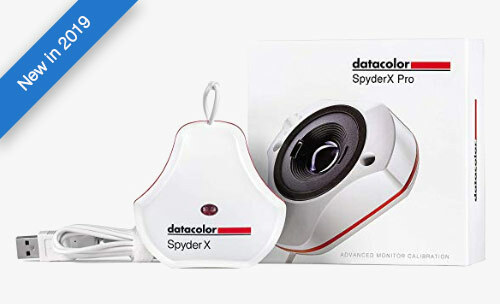 Calibrate your monitor with your favorite colorimeter : Datacolor SpyderX PRO ! 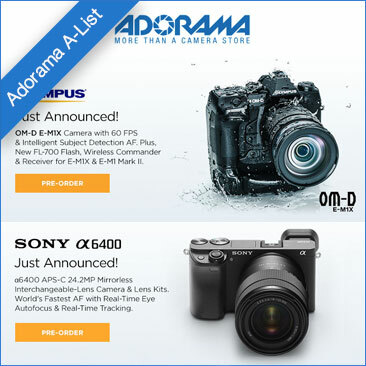 This site dedicated to color management for photographers and videographers, beginners or professionals, visited by more than 330,000 people last year, offers on the one hand to help you easily understand and put into practice the color management of your photos and on the other hand helps you make the best investments with more than 100 hardware or software reviews since April 2002 in French and 2014 in English! It is the result of a patient work and a long experience shared by a professional but above all passionate photographer !